By accessing any areas of 123inkcartridges.co.uk the user acknowledges the notices, and agrees to the terms and conditions, set out below. 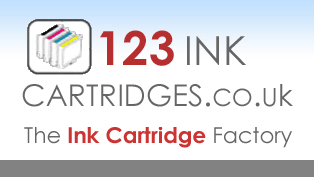 123inkcartridges.co.uk owns and operates the 123inkcartridges.co.uk web site. 123inkcartridges.co.uk domain name and logo are property of 123inkcartridges.co.uk. All other trademarks, product names and company names or logos cited herein are for reference only and these trademarks, product names and logos belong to their respective owners. The material contained in 123inkcartridges.co.uk, including all portions of this web site, content, site design, text, graphics, and the selection and arrangement thereof are property of 123inkcartridges.co.uk. When we receive an internet order you always get an e-mail from WorldPay confirming your order placed on our website and in addition an emailed invoice from us. We try our best to process all the orders on the same working day before 3pm and always within a reasonable time frame upto 28 days. If you have not received the goods within 7 working days you should contact us immediately. A refund or replacement of the goods will be made subject to reasonable investigation. Your statutory rights are not affected by above exclusions. Refunds may be subject to charges/fees incurred. Discounts codes are not to be used inconjunction with any other internet offer or stored cookie (please delete your browser cookies). All trademarks are the property of the respective owners. All pictures are for illustrative purposes only and do not represent the exact product. All products and references are compatible cartridges unless otherwise stated.